Just like in Ukraine every home has a different soup recipe so do these Meatballs. 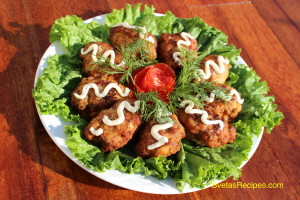 Though this recipe is quite unique because the meatballs tend to be very soft. Ingredients: Ingredients are also down below. 1.) In a large bowl add pork, salt, pepper, and egg. 2.) Divide the bread into pieces. 3.) Pour milk into the bread and mix together well. 4.) 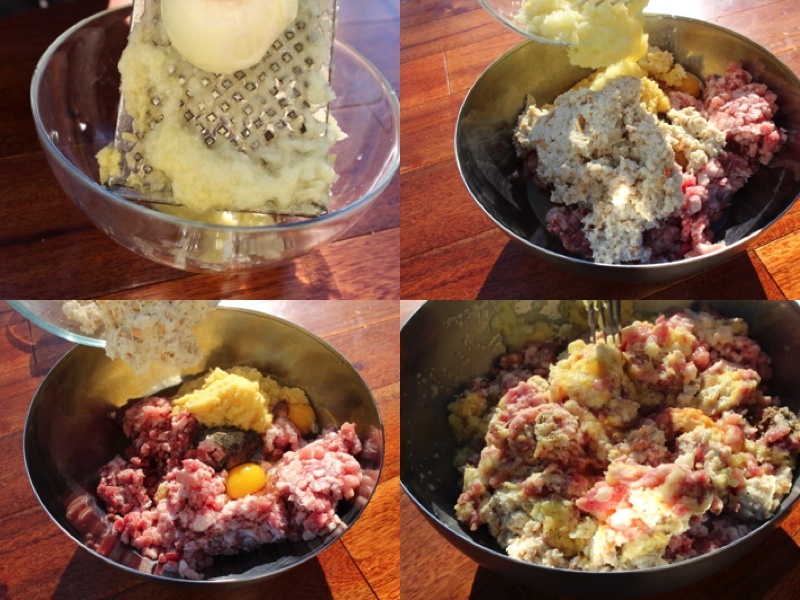 shred the potato and add it to the mixture. 5.) Shred onions, add bread mixture and the onions into the bowl. 7.) 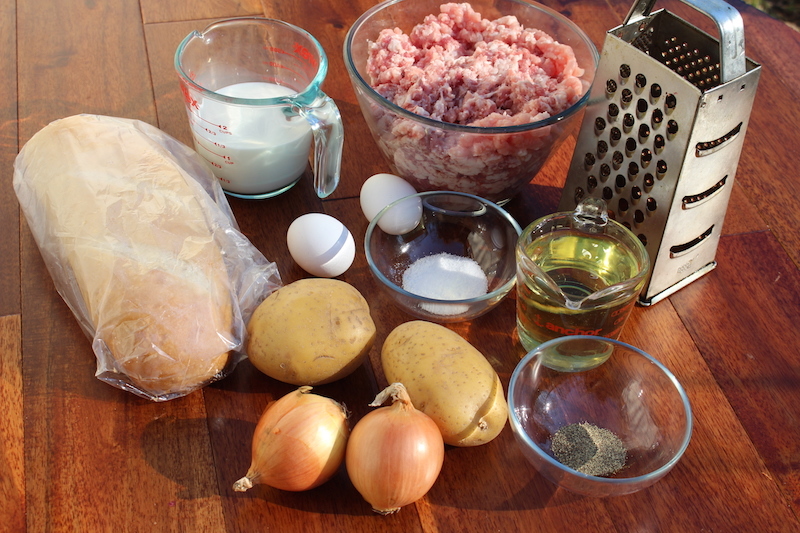 With hands form the ground pork into evenly shaped meatballs. 8.) In a 12 inch skillet over medium high heat, in hot oil cook meatballs a few at a time. turn with a spoon until well browned on all sides. In a large bowl add pork, salt, pepper, and egg. Divide the bread into pieces. Pour milk into the bread and mix together well. 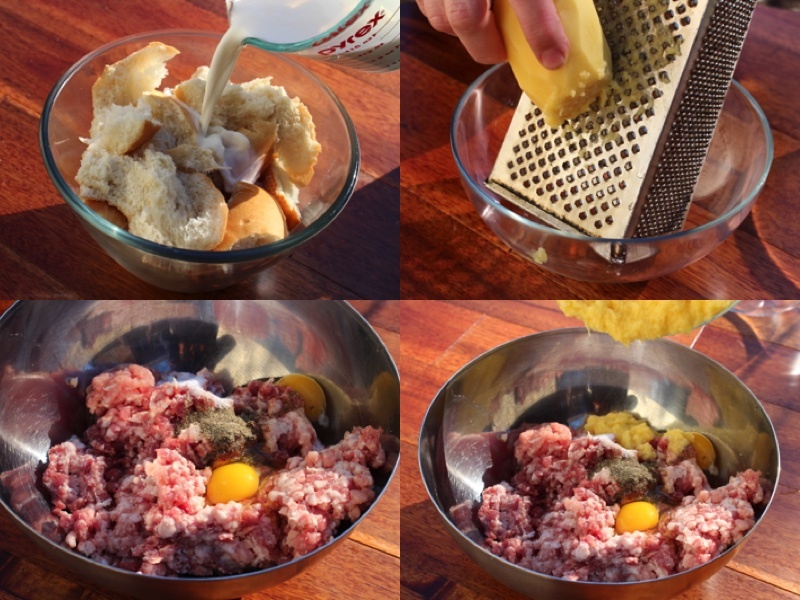 shred the potato and add it to the mixture. Shred onions, add bread mixture and the onions into the bowl. 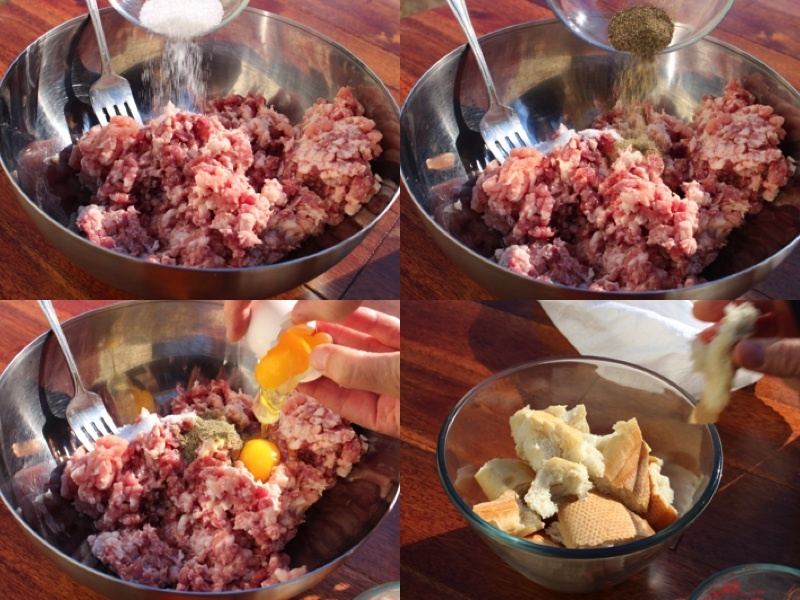 With hands form the ground pork into evenly shaped meatballs. 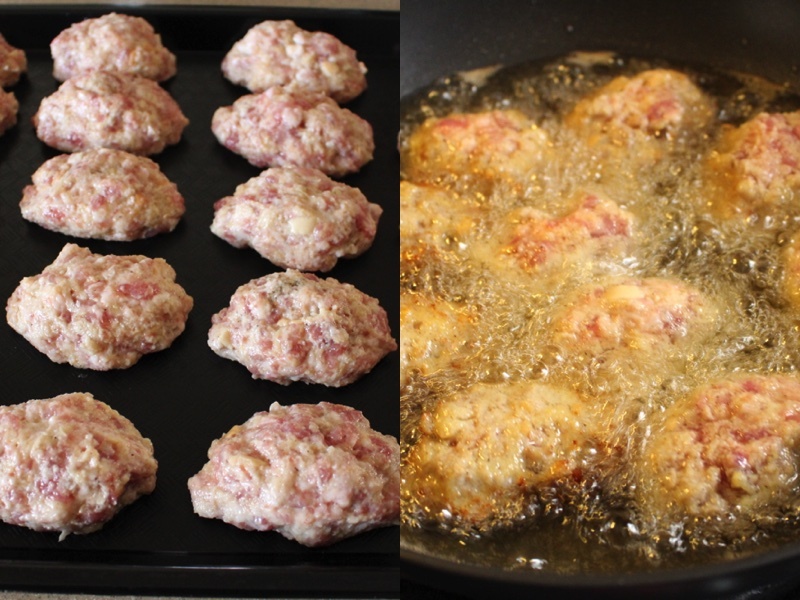 In a 12 inch skillet over medium high heat, in hot oil cook meatballs a few at a time. turn with a spoon until well browned on all sides.